In all its baked, succulent splendor, the turkey only works as a short time Thanksgiving centerpiece. After it’s been carved, mutilated and ingested, few care to gaze at the remains. Enter the fresh fruit basket— an apt second act does not rival the 10-pounder bird. Exuding green qualities, this Thanksgiving centerpiece runner up thrives well beyond its moment in the limelight. Edible fruit baskets bifurcate into two divisions: carved and whole. In the carved rendition, timing is everything. With oxidation being its arch nemesis, the carved fruit bouquet lives an abbreviated existence as a Thanksgiving centerpiece. Fresh fruit baskets act as a Thanksgiving centerpiece alternative to squash and acorns. Although it ‘s not the traditional centerpiece that the Indians and pilgrims shared, the edible fruit basket exudes simple elegance. 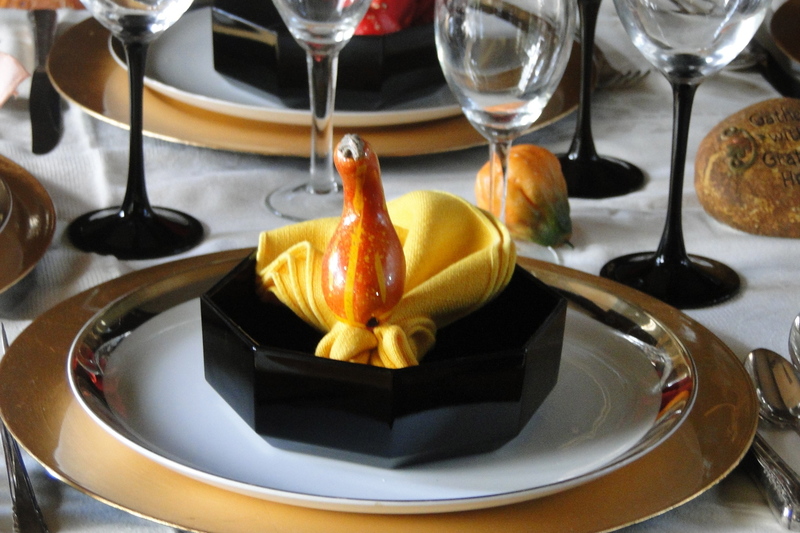 Here’s how to transition the edible fruit basket throughout the Thanksgiving celebration. Shortly following the Thanksgiving dinner, a few minutes before dessert–place the fruit bouquet on display. Then on the dessert plate, give everyone a kebab to enjoy with his or her pie or cake. Note that cheese and fruit embody and easy and tasteful dessert option.